Ruby Update: 04/01/17 Ruby has been adopted! Update 04/01/17: Ruby has been adopted! 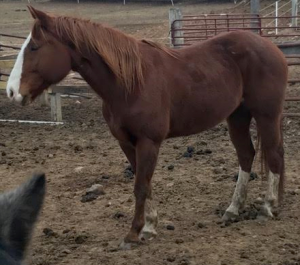 Ruby is a nice 2007 registered paint (solid) mare who stands 16hh. 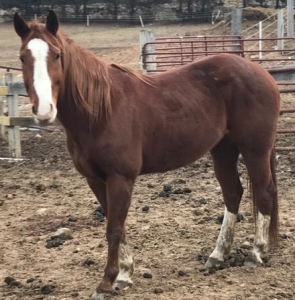 Ruby is broke to ride and would make a good light-duty trail horse. Ruby came to MHARF because her owner could no longer keep her. We will have more info on her soon! https://mnhoovedanimalrescue.org/wp-content/uploads/2017/03/ruby-resized.png 336 330 mharf https://mnhoovedanimalrescue.org/wp-content/uploads/2016/05/mainlogo_blue02.png mharf2017-03-17 22:14:282017-04-04 21:22:47Ruby Update: 04/01/17 Ruby has been adopted!